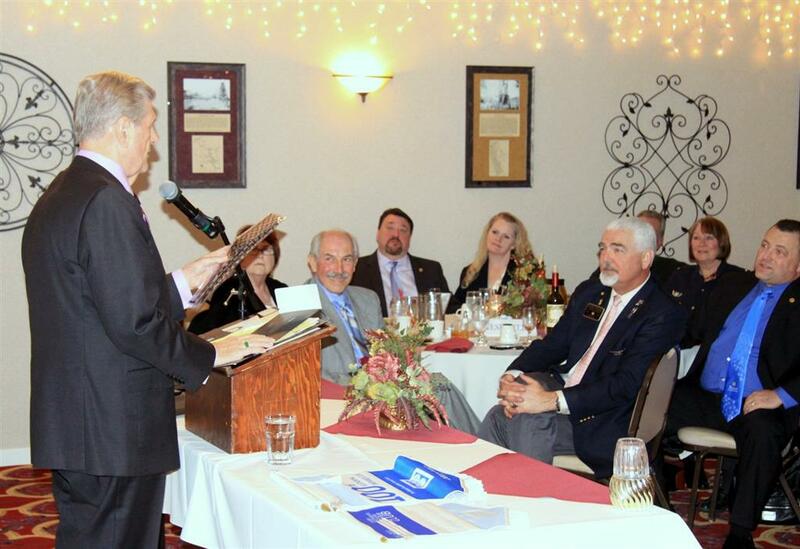 Recently 100 members of the four Amador County Rotary Clubs: Amador Upcountry, Ione, Jackson and Plymouth Foothill came together to support the Paul Harris Foundation in their efforts to spread peace while improving health and literacy around the world. District 5190 Governor Sam “Woody” Wilbanks and Area 7 Associate Governor Paul Karnaze presented Paul Harris Awards to 22 County Rotarians for their generous donations. The Paul Harris Foundation, Rotary’s Polio Plus have spent more than $1,000,000,000 to eradicate Polio worldwide and the Bill and Malinda Gates Foundation has given an additional $500,000,000 to Rotary to speed up the work. In the last decade they have reduced the outbreaks to 223 cases reported in 2012 in 5 countries. This fight will go on until this disease is eradicated, which is why we continue giving every year. Appreciation is directed to fellow Rotarians Stan Lukowicz owner of the National Hotel and Mary Ann McCamant owner of the Imperial Hotel for their generosity in providing rooms for our District Governor and keynote speaker.